Beyond Meat recently dropped their newest plant-based meat product, the Beyond Sausage, and it's got the sizzle, snap, texture, and flavor of a real frankfurter. The new vegan sausage is made with a combination of rice, pea, and fava beans that supply protein and texture. Trace amounts of beet juice are present to give the links a meaty appearance, and coconut oil supplies the rich fatty notes associated with sausage. To provide a sausage's signature snap, an algae-based casing is wrapped around the plant-based meat. The Beyond Sausage is soy, gluten, and GMO-free, and supplies 16 grams of protein per link. A typical 100-gram bratwurst has 12 grams of protein, so in terms of gains, the Beyond measures up to its meaty counterpart. 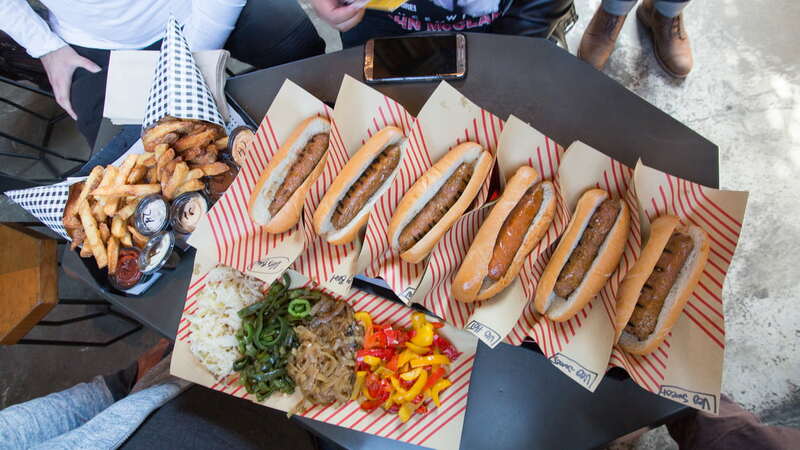 Foodbeast got the opporutnity to taste Beyond Meat's link at Würstkuche, a Los Angeles alcove for artisanal sausage. There, the vegan frankfurters come in three flavors: Hot Italian, Sweet Italian, and Bratwurst. Beyond Meat supplies these for the restaurant, who then grills them before serving them up with a variety of toppings, like caramelized onions and peppers. In terms of flavor, each of the three tasted exactly like the real deal. The aromatic notes of the Bratwurst were present, as was the appropriate heat and herbs for the Hot and Sweet Italian. The snap isn't as pronounced as that of a traditional sausage, but it's still satisfying to sink your teeth into. Texture-wise, it's very close to a real link of meat (although cooked ground meat is a little firmer than the Beyond Sausage). Overall, all of us were quite impressed with how the sausage turned out. The Beyond Sausage is available at Würstkuche and two locations of Veggie Grill in Los Angeles. 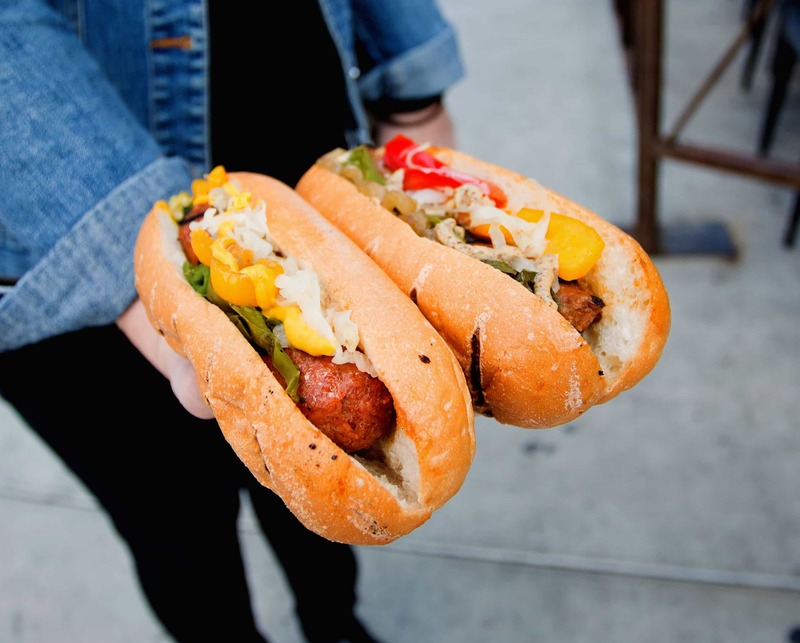 All three locations of Rosamunde Sausage Grill in the San Francisco Bay Area also sell it, and Beyond Meat will be announcing more locations around the nation via Instagram as it comes. Photos by Peter Pham // Foodbeast.